A Taste of Dalat | Hello Saigon! I don’t know how the Vietnamese ever keep their lean figures because with the amount of food available in our office — I don’t think there’s any hope for me losing any weight. The bad (or good depending on the way you look at it) thing is that you can only get it from Da Lat. Which isn’t bad really if you’re watching your weight. So there, I bet tomorrow, this will be gone. See you again someday…maybe when we get to visit Da Lat. 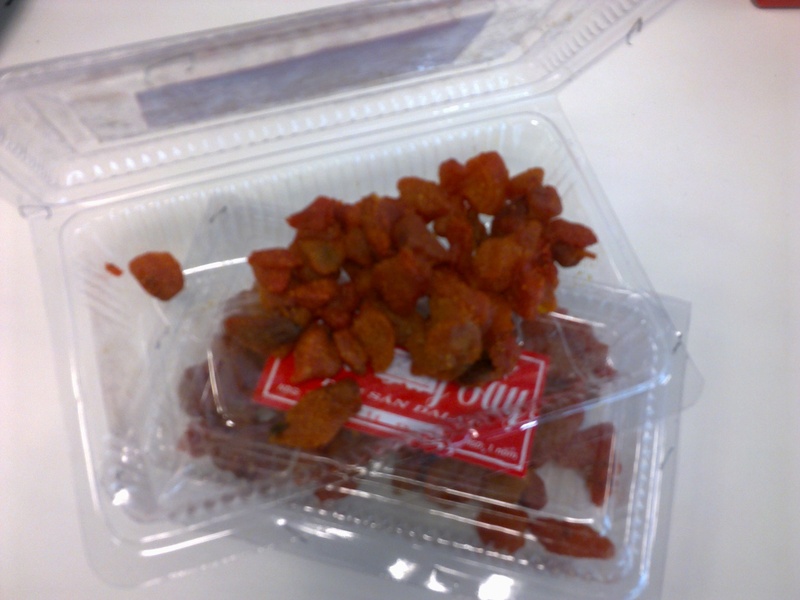 This entry was posted in Gastronomic Delights and tagged Dalat, strawberries. Bookmark the permalink.